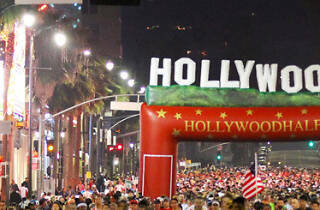 Photograph: Courtesy Superhero Events Hollywood Half Marathon. Hollywood Boulevard finds itself somewhere between pedestrian utopia and zombie apocalypse as all of the cars (and some of the tourists) flee for the Hollywood Half Marathon. 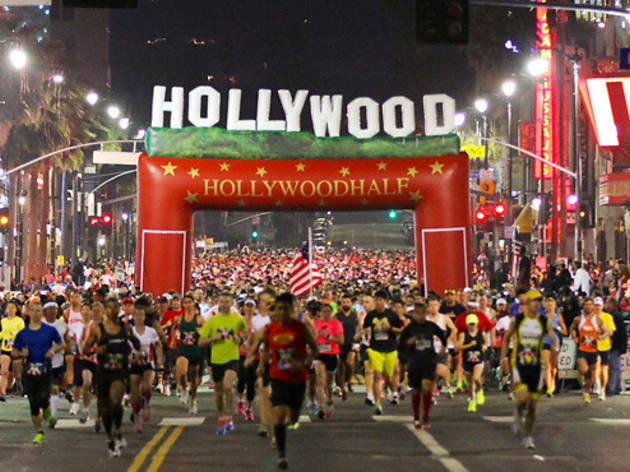 The course starts at Hollywood and Highland, meanders all the way over to Echo Park Lake and finishes up back at Hollywood and Vine. If you can't cut running a half marathon, opt for the simultaneous 5k, 10k or fun run—proceeds benefit Covenant House and Los Angeles Youth Network Homeless Shelter.